Should I get the Watson Duo Charger? LightSport Man February 2019 Update - Planes, Drones and Real Estate! Let Johnathan Smith aka LightSport Man come into your company and show you how protect your company by hiring a pro for your drone services. The business of drones is expected to be a multi-billion dollar industry in the next few years, and it is starting to have a major impact in some key business sectors. The Real Estate industry is at the top of that list when it comes to businesses poised to take advantage of this emerging technology. The opportunities these rule changes create for Realtors. The specific FAA Drone rules/laws that apply to Realtors. How one local realtor sold a listing in 1 hour using a drone video. help them succeed when doing this on their own. right pilot to work with. your drone video to sell your listings faster. This workshop clears up all the misinformation surrounding the use of drones in the real estate industry. It covers everything agents and brokers need to know now that the FAA has released the new Part 107 Rules, and finally allows them to make an informed decision about the use of done videos in their own businesses. Learning to fly? Not flown for a few years? Talking on the radio is one of the most important, but least emphasized, skills you need to fly safely in today's busy airspace. COMM1 VFR Radio Simulator is a proven tool for getting you up to speed on communicating professionally with ATC, Flight Services, Flight Watch, and other ground personnel. 6+ hours of training, comprehensive audio-visual tutorials, realistic flight scenarios, Interactive practice exercises w/ATC, playback your exchange w/ATC, and compare yourself to an expert. LightSport Man New Website Is Live!! LightSport Man new website is live.. Exciting news! Our very own Johnathan Smith (LightSport Man) has been recognized as a Distinguished Flight Instructor, a title given to top scoring flight instructors from AOPA's 2018 Flight Training Experience Survey. AOPA’s Flight Training Experience Awards were created to highlight the best flight training the industry has to offer. Congrats Johnathan Smith (LightSport Man), and thanks to all who took the survey! PLEASE HELP SUPPORT RIDERS WITH DISORDERS AND DISABILITIES!! Thanks so much, for taking the time to read this and learn how you or your firm can help support riders with disorders and disabilities. My name is Johnathan Smith. I am an Advocate for E-Bikes and also E-MTBs. I help promote them, and work with riders with disorders and/or disabilities. I spend a lot of my free time working with kids or new riders with disorders and disabilities and helping them get into biking. As you know E-Bikes are helping riders with disorders and disabilities in so many ways that the benefit of using them is outstanding and this is just one of the ways we have them. I also do one-on-one training and group rides at all levels to help kids and new riders with disorders and disabilities to get on the road/trail, by doing this I am opening up a new world for them. This is a great cause, and hopefully the work being done could help people with E-Bikes (electric assist bicycles, not self propelled, gas or electric) who would like to use the trails and resources other cyclists are privileged to access without restriction. The E-Bike is a great advancement for those who’d otherwise not be able to ride. People know me most as the famous pilot named “LightSport Man”. I’ve been in the news a number of times with the titles “LightSport Man Overcomes Obstacles to Take Flight”, “Do You Know the LightSport Man?”, “Pilot Has a Stutter”, “LightSport Man Flies Over Obstacles”, “Pilot’s Stutter Flies Under Radar”, “Pilot’s Stutter Disappears When He Files”, “Flight Instructor’s Severe Stutter Disappears When He Flies”, and more. Johnathan Smith Advocate for E-Bikes. LightSport Man Flighting for E-Bikes for Everyone.. Learn how ORTHOMOSAIC MAPPING can help you today..
Mapping and analysis using the latest UAV / Drone specific photogrammetry software. Maps can be coordinated with site survey using Ground Control Points for greater accuracy. Get an aerial view of a site before construction begins and ends. Orthomosaic photos can be overlain on plans to help with planning and design. You can also track to see if you're on plan with your design. Our UAV / Drones can produce sophisticated 2D maps and 3D digital elevation models that enable you to fill in imaging gaps left by satellite mapping with up-to-date data. Orthomosaic maps are created with a large number of overlapping photos covering a defined area.. After capturing precise aerial imagery, we then use software to knit the photos into georectified orthomosaics. We were luck to help out Paradise Honors High School in Surprise AZ with a Fire Drill project. With this birds eye view, you can confirm/analyze that your children and staff are in the right locations at the right times. You can also see any bottlenecks as the fire drill is going on. You can double check that your fire drill plan has everyone away from the danger of the fire and all are safe. Locally owned and operated Premier Drone / UAV Aerial is your leading aerial photography and video service company in Surprise that also services metro Phoenix. Learn more about our Drone Services in Scottsdale and Phoenix today. PREMIER UAV AERIAL IN PHOENIX AZ HAS SOME NEW DRONES / UAV FOR YOU! The Inspire 2 is one of the most advanced camera drones available on the market today, with an emphasis on cinematic image quality and flexible camera movement you can get no better then this bird on your job site. PREMIER UAV / DRONE AERIAL IS NOW SERVING YOUR AREA. We are based in Surprise, AZ, but we serve all of Arizona. We have scheduled service days each month in most areas. We can serve you anywhere in and out of the state. PREMIER UAV / DRONE AERIAL DEMO REEL GOES LIVE! Premier Drone / UAV Aerial Just opened a Residential Real Estate Dept. Why Realtors may be in the best position in 2018 to take advantage of the new FAA rules to sell more listings, and sell them faster by using drone videos plus HDR aerial photos. How one local realtor sold a listing in 1 day using a drone aerial HDR photos. How and where to use a drone video and HDR aerial photos to market a listing and rise above the competition (pun intended). How Realtors can create drone videos themselves (legally) and 5 great tips to help them succeed when doing this on their own. How to hire a professional drone pilot, what to expect and how choose the right pilot to work with. How to tap into Facebook’s hidden database of homebuyers to help you use your drone video and HDR aerial photos to sell your listings faster. This workshop clears up all the misinformation surrounding the use of drones in the real estate industry. 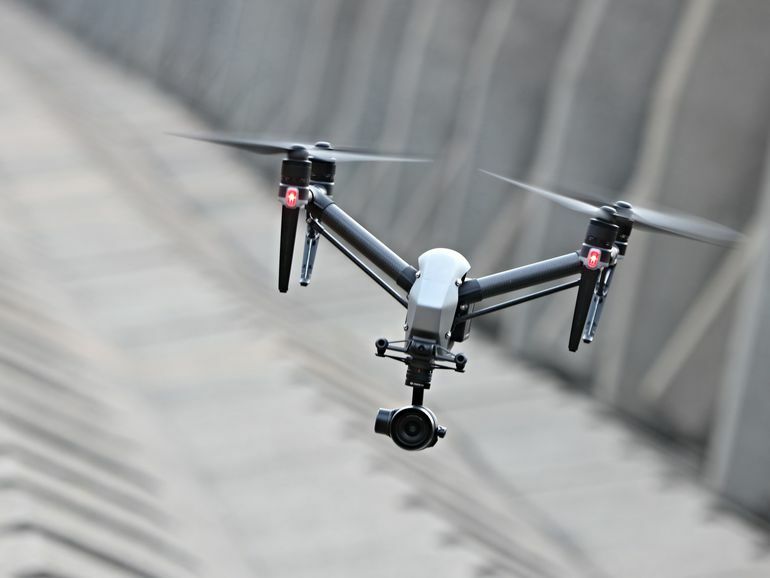 It covers everything agents and brokers need to know, now that the FAA has released the new Part 107 Rules, and finally allows them to make an informed decision about the use of drone videos in their own businesses. About the Instructor: Johnathan Smith aka LightSport Man, has been in the news media many of times talking about flying and drones. He is FAA Licensed. Johnathan is the owner, pilot, and managing director at ProfessionalAerialDronePilot.com, a Certified FAA Flight Instructor, Advanced Group Instructor, and a Commercial Remote Pilot. Johnathan not only has unique insights into the drone industry, its rules and regulations, but is also highly skilled in helping people use marketing assets like drone video and aerial drone photos to acquire new customers. LightSport Man Breaking News iPhone X is Back!